Our ForestTECHX 2018 conference is scheduled for March 7th, 2018 in Vancouver, Canada. 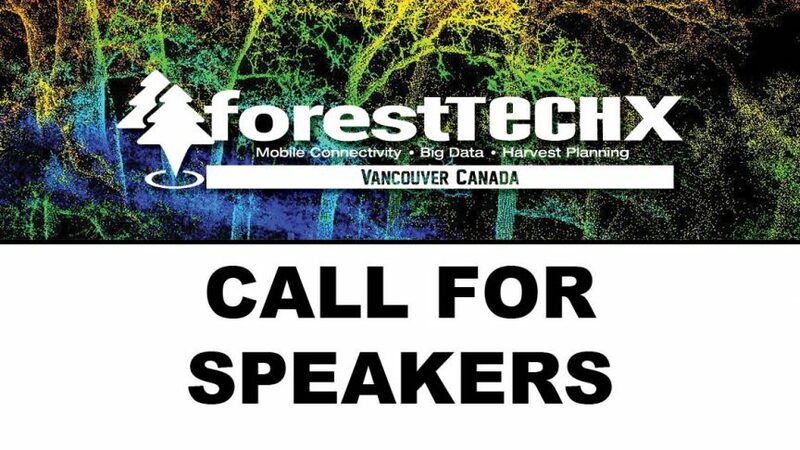 This conference will be targeting Mobile Connectivity, Big Data and Harvest Planning for the North American forest industry. We are working closely with a wide range of international specialists, service suppliers, researchers and government bodies to develop a strong and innovative programme. If you are keen to be a speaker at our conference and you are an early adopter, developer, innovator, technology supplier, service provider or researcher within the forestry sector, our conference team would like to hear from you. Keynote presentations on key paradigm shifting technologies. Expert speakers covering the key developments, technologies, issues and new opportunities impacting the sector. This will include a full line-up of award winning technologies, innovative new platforms, exciting applications and early adopters. Lightning talks on the best innovations and services available in NZ for the primary sector. Speakers have 5 minutes each to present their talk. Join developers discussing how best to connect and collaborate with early adopters and other operators. If you are interested in being considered as a speaker, or would like to recommend an early adopter, case study or international expert, please contact us.